When it comes to successful blogging, picking the right keywords is vital. Pick the right keywords and you can do very well. Pick the wrong key words and you will end up wasting your time and money. Ultimately, you want the right keywords so you rank high in the search engines and get lots of free traffic. 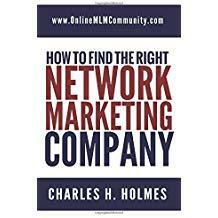 In the network marketing world, there is intense competition for MLM related keywords. Just type in any network marketing related keyword online and you will find MILLIONS of search results. This means that it will be extremely difficult to end up on the first page of Google and get free traffic for any of these keywords. You don’t have very good odds of ranking high in the search engines when there are MILLIONS of people competing for the same keywords. That means you will end up building a lot of content on your blog that no one finds or reads. As I see it, there is a right way and a wrong way to pick keywords for your blog. If it’s one thing I’ve learned by having my own successful websites for nearly five years now, it’s the importance of long tail keywords. Long tail keywords are the longer, more specific keywords that are less common, individually, but add up to account for the majority of search-driven traffic. In essence, the long tail keywords are the words that you WANT to win and have the best CHANCE of winning. While there might not be as many searches per month for a long tail keyword, compared to a traditional keyword, there are still lots of searches. And the long tail keywords are much more targeted and better quality. And it’s much easier to rank high for the long tail keywords. All you really need to do is write some really epic content, build a few links and share it on social media. After that, the search engines will take over and work their magic. Here’s the bottom line. If you’re going to take your time and money to build a network marketing blog (like I have) make sure you pick the right keywords. Pick long tail keywords that have sufficient demand, but not too much competition. Do that and you can succeed. Don’t do that and you will fail. What are your thoughts about long tail keywords? Leave a comment below and let me know what you think. I don’t know, long tail keywords sound great but as you said not as many people are searching for them. I know you can set it so that if they get close to the phrase it counts but I guess I’ll just have to try this one and see what happens. I really want to improve my blog and increase my readership and so I’m willing to give it a try. How long do you think it will take to right the ship, after I start using long tail keywords? Also what do you recommend I put on my resources page? You are absolutely correct all the way around on this Chuck. Long tail keywords are much better than trying to fight with millions of competitors. I want to share just a little more on this subject now. Since Google did Panda updates, there is another thing to consider. I could probably sell this information, but today I am giving it away for free. First and foremost, you need quality content, but in developing that content, you need a plan. Google is using Latent Semantic Indexing now. I wrote an article on how to use this new system. I usually do not post my links on comments, but I felt it was called for here–I hope it is ok Chuck. This can help all of you understand how Google works now. It flows right along with what Chuck is stating here… and deeper. Thank you Chuck. LSI is the wave of the future. It is important that as bloggers and webmasters, that we keep updated to the changes the major search engines are making. I have found keywords and phrases to be very important, but what many people do not think about are their titles. The title is the first item seen, and if it doesn’t entice the reader, it really doesn’t matter about the keywords. Catchy, short titles are the best. I agree Greg that titles are very important.